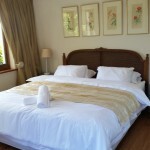 Welcome to this large classic and luxuriously furnished self catering studio in the most sought after area of Higgovale in the Table Mountain Nature Reserve. This bright beautiful apartment offers its guests the most spectacular views of the city, Signal Hill & Lions Head. Amazing hiking trails awaits the adventurer at heart. Close to Cape Town's famous top attractions.